Shoprite ! Shoprite !! Shoprite !!! 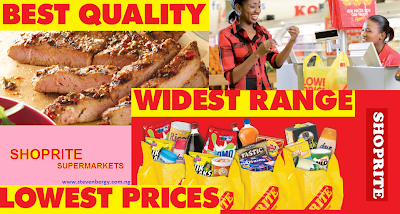 This is the latest trend when it comes to shopping in Nigeria, maybe you also noticed that Shoprite is now dominating many states in Nigeria by opening new supermarkets at different locations. Want to know more about Shoprite ? Okay, Shoprite is the leading retailer across Africa and also the brand of choice for many consumers across Africa. 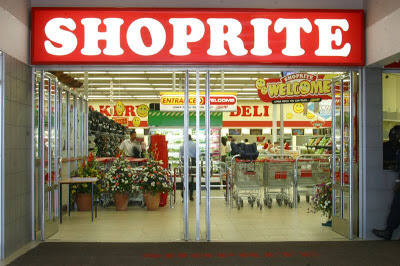 Shoprite is also known for offering wide range of fresh products and they still sell at cheaper prices. Where are the Shoprite Supermarkets in Nigeria ? So when will you visit any of the Shoprite supermarkets listed above ? or have you visited any of them before ? What do you think about their customer service and products generally ? Say something, share your experience at Shoprite with us. We will be glad to see your comments and don't forget to share this useful info with your friends. Enjoy your Weekend !!! Shoprite is a really nice places to be for shopping, I can remember when i buy a cheap blackberry phone at 15k. And to my surprise, it was an original BB smartphone. I don't know how true this is but I believe it should be true cuz Shoprite is now being opened almost everywhere in Nigeria. I think Port Hacourt will be incomplete without a well-built Shoprite. *winks* Best of luck in getting your dream job Sarah. Shoprite is coming up in Onitsha before the end of first quarter 2016. So watch out and tell your friends. Thanks for the info. We'll be expecting to see it. I'm not very sure about that. You can do a lookup via Google to confirm that. This post will be updated very soon, with the new Shoprites in Nigeria. Thanks for dropping by! When is Shoprite coming to Jos. pls do shoprite sell fridge and other kitchen electronics?